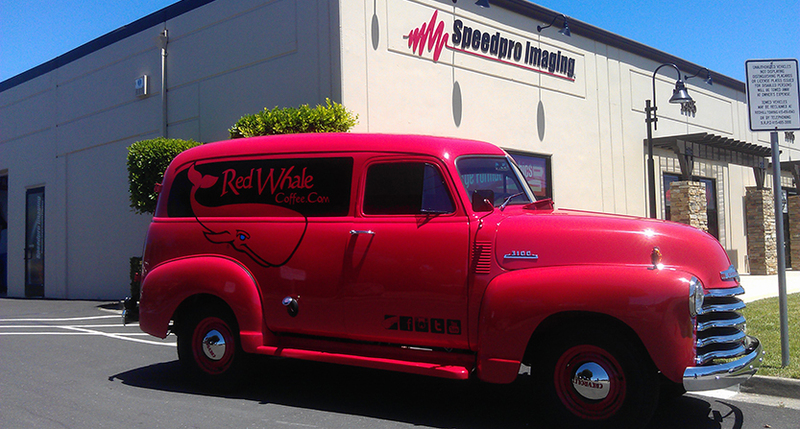 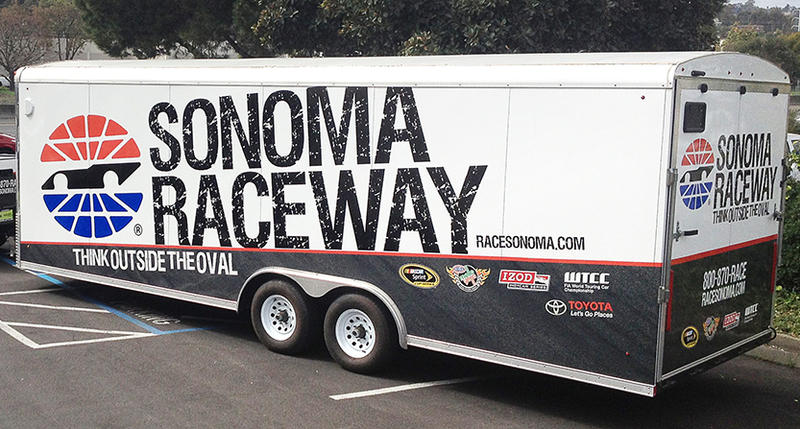 SpeedPro Imaging – Marin is the the SF Bay Area leader in producing quality vehicle wraps and fleet graphics. 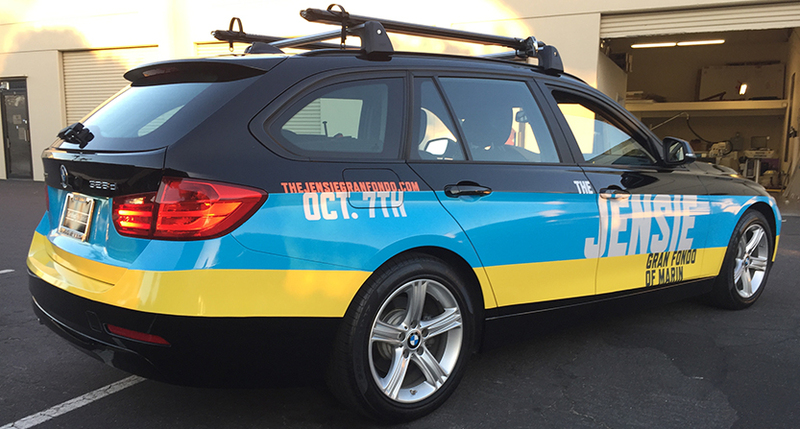 SpeedPro takes visual communications to the next level with vibrant color, print quality and professional installation. 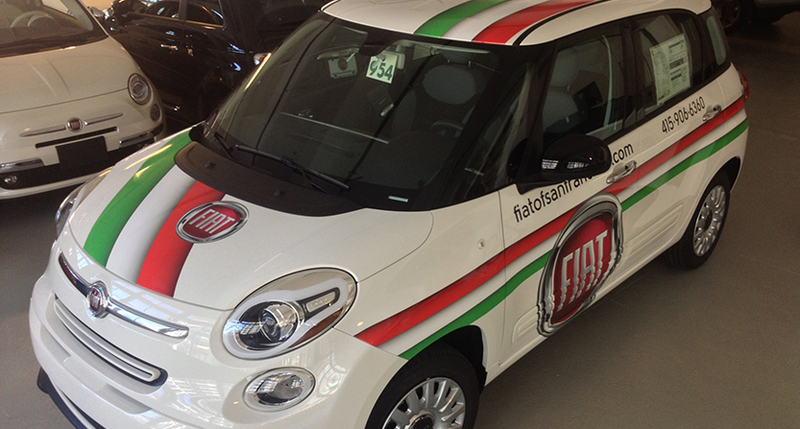 Car wraps require a compelling design that will get your brand noticed. 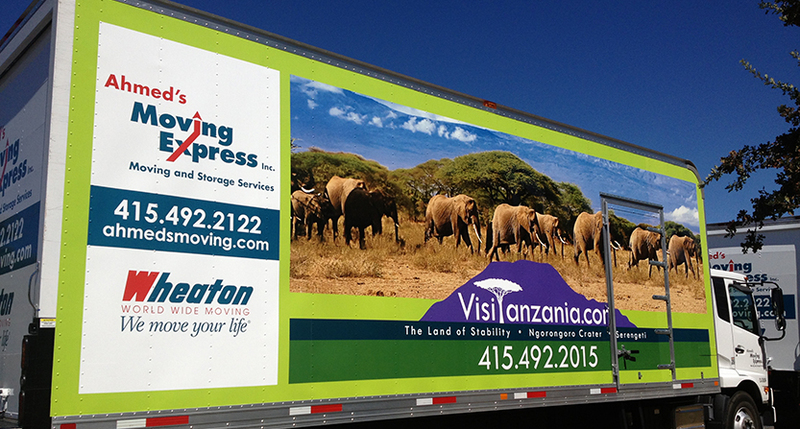 Businesses, both big and small, utilize vehicle wraps as form of marketing – think of the car or truck as a moving billboard! 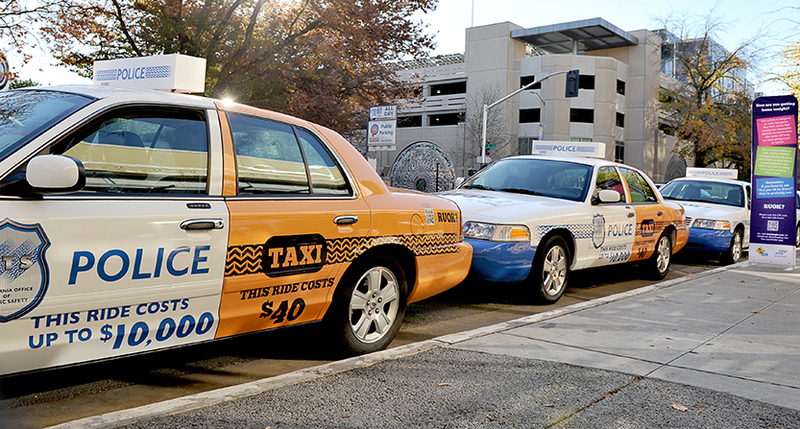 There are many ways to approach car wraps and fleet graphics. 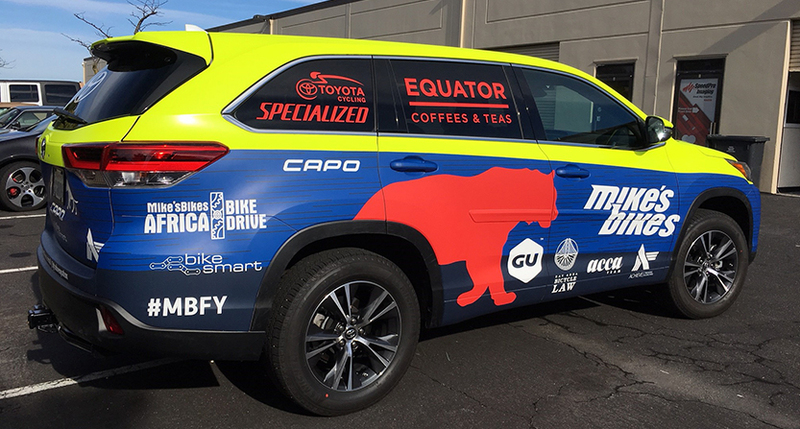 Many clients come SpeedPro Imaging – Marin asking for a full wrap. 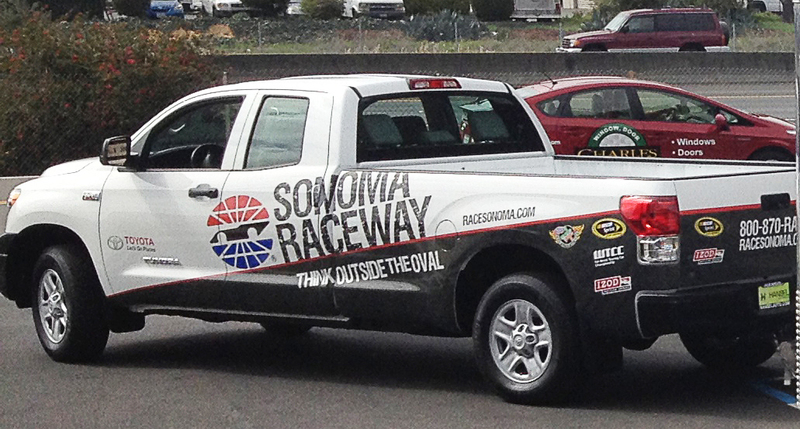 7 out of 10 times, we convince them to consider a partial wrap. 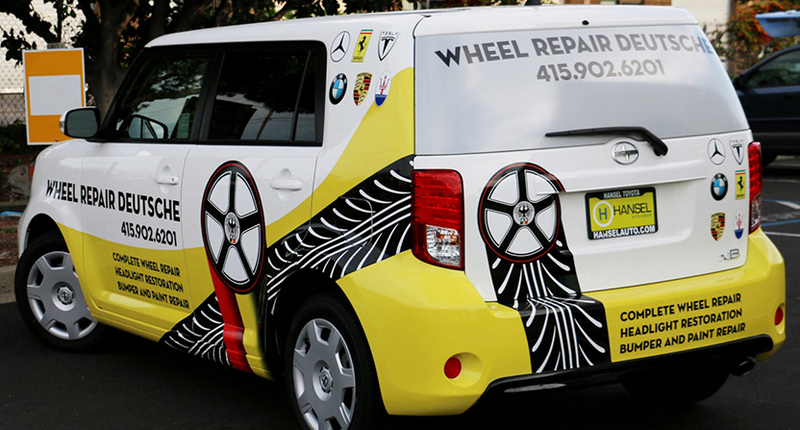 Partial wraps can be just as impactful as a full wrap. 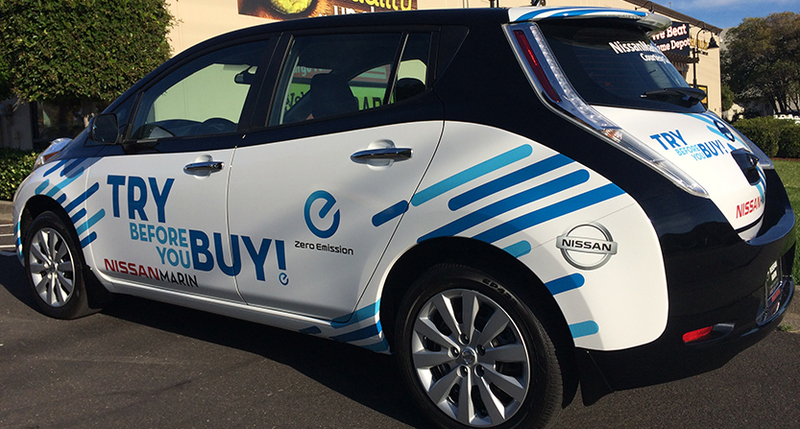 They key is to have a flexible design and a vehicle color that can be used as part your wrap/brand colors. 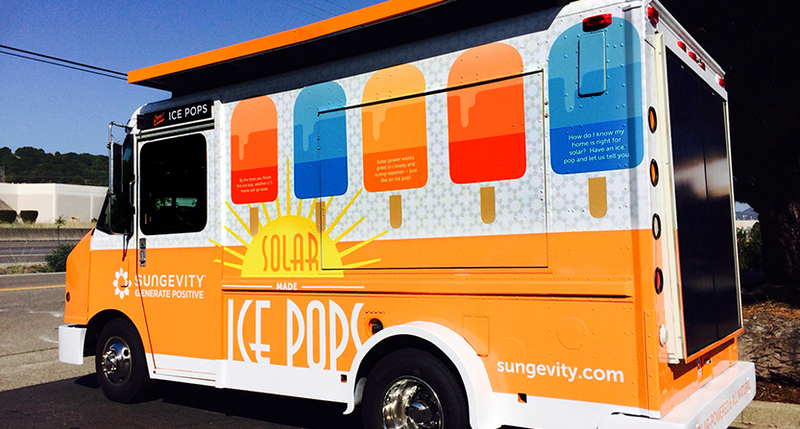 And the best part – partial wraps will save you money! 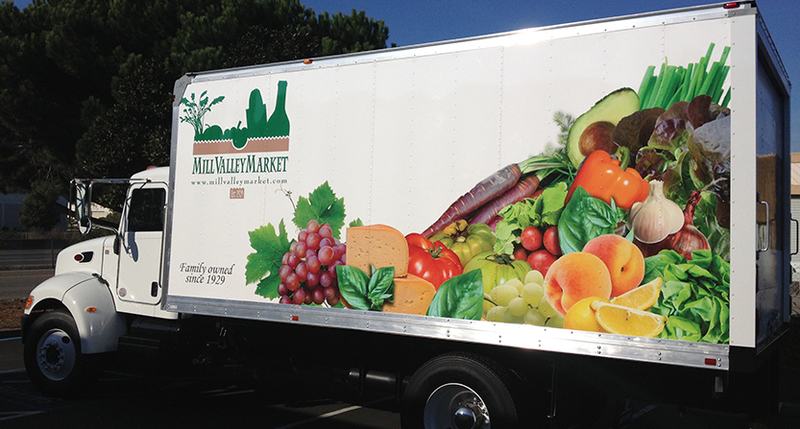 Fleet graphics are a powerful marketing tool that can provide your business significant exposure. 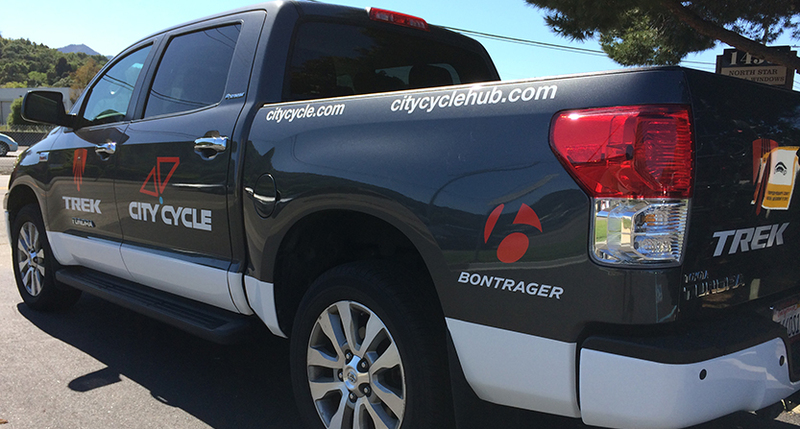 Each vehicle in your fleet can reach tens of thousands of viewers per day, at a lower cost-per-impression than any other form of adverting. 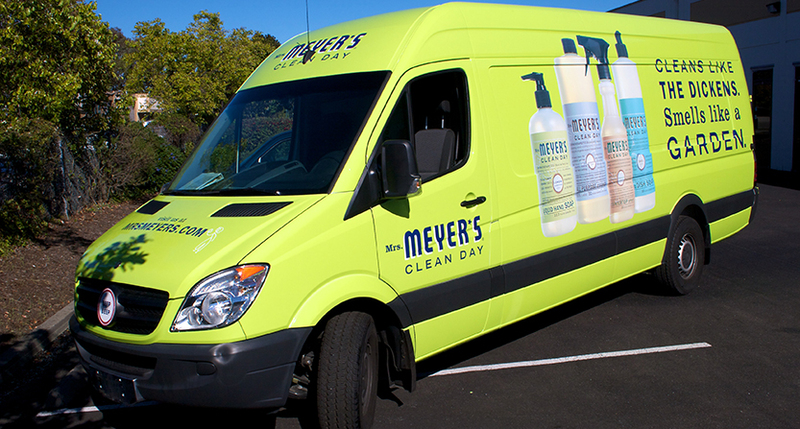 Multiple studies have ranked fleet graphics as the most influential advertising media available. 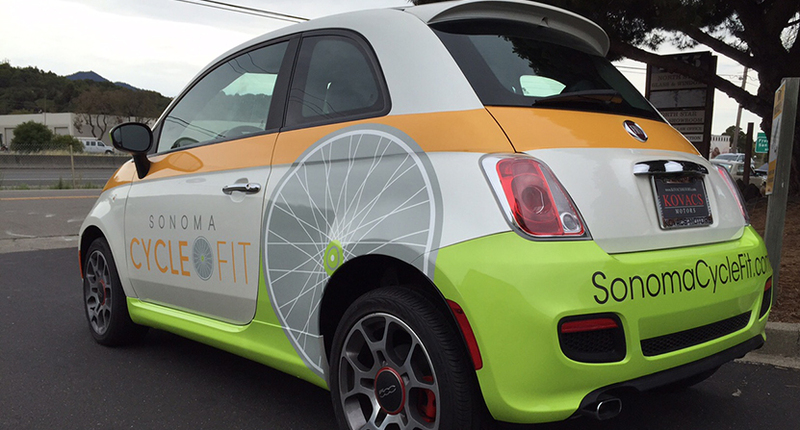 Vehicle Wraps can be challenging when you think about taking a two dimensional design and producing it to adhere to a three dimensional car. 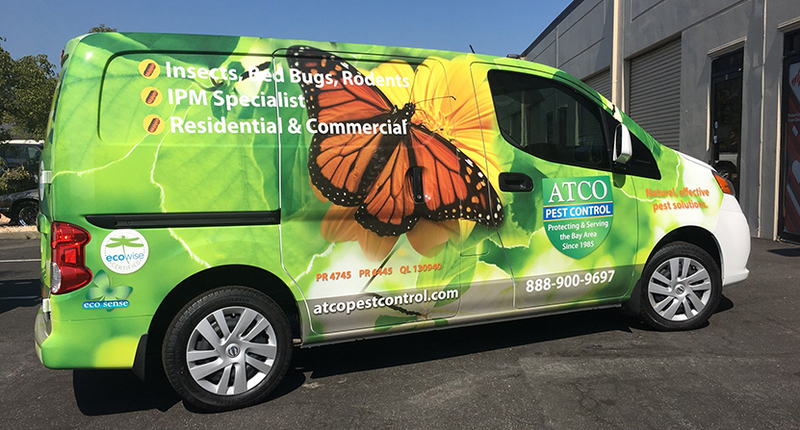 That’s why we get into the weeds when working with clients on their design elements, making sure the finished product meets the client’s expectations. 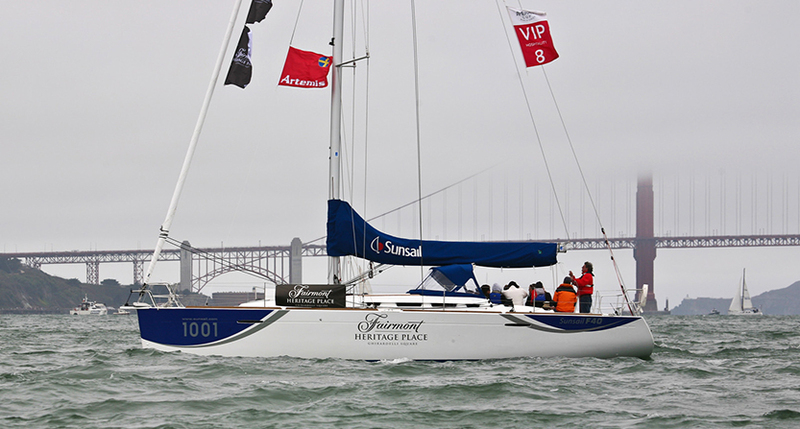 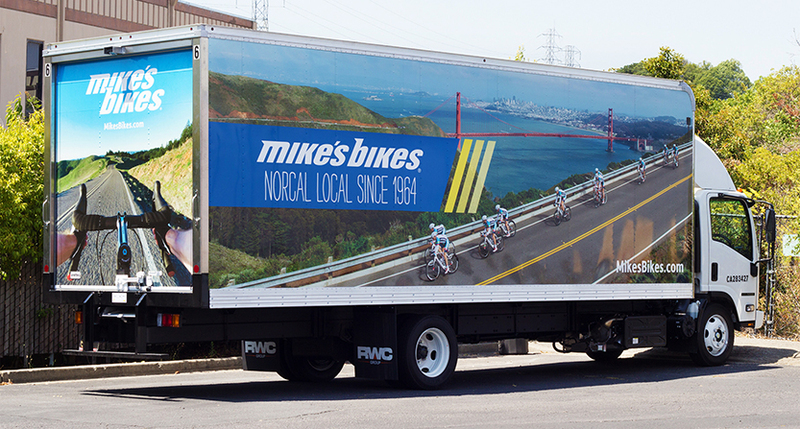 Speedpro Imaging – Marin has been the wrap provider of choice for Google, Mikes Bike, Off the Grid and dozens of small SF Bay Area businesses. 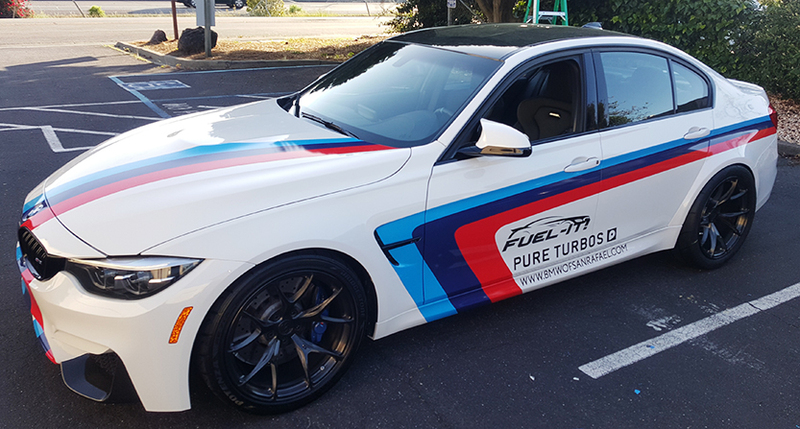 Give us a call when your ready to create your next wrap for your business.